Sneakerheads, Gatorade, and/or Michael Jordan fans might be interested to know that Nike has put out a "Like Mike" Gatorade collection of Air Jordan shoes. that includes a Gatorade version of the original Air Jordan Is. The tribute makes a lot of sense as Michael Jordan was one of the first spokespeople for the classic sports drink and it was a Gatorade marketing campaign that first coined the phrase "Be Like Mike." 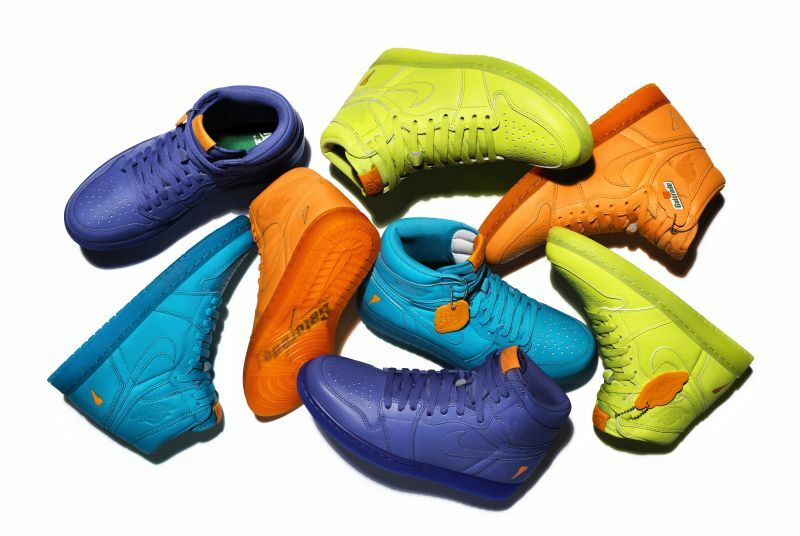 The new Air Jordan I OG High shoes come in several "flavorways:" Lemon Lime, Grape, Cool Blue, and Orange. Besides mimicking the colors of various Gatorade flavor, the shoes sport other features to drive home the Gatorade theme including "Be Like Mike" wordmarks, Gatorade logos, and a Gatorade bolt. Each pair of shoes also comes with a dual-branded Jumpman and Gatorade hand towel and matching hangtag. Being a pair of Air Jordans, they don't come cheap--each pair goes for $174.99. - Air Jordan VI "Like Mike" in green and orange. - "Like Mike" Air Jordan XXXII low with orange highlights. - Air Jordan VI "Gatorade," a green shoe with orange details. The collection also includes "Like Mike" clothing and can be found at select retailers.